Integrating real industry-generated research into every chapter, the book also includes profiles of leading industry executives and guidance for developing and preparing for a career in sports marketing. 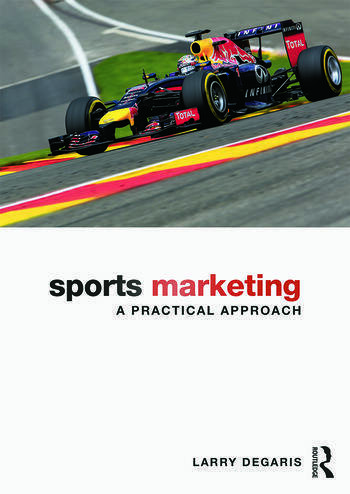 It goes further than any other sports marketing textbook in surveying the international sports market, including international cases and detailed profiles of international consumer and business markets throughout. A companion website offers multiple choice questions for students, editable short answer and essay questions, and lecture slides for instructors. No other textbook offers such a relevant, practice-focused overview of contemporary sports marketing. It is the ideal companion to any sports marketing course. Larry DeGaris is a leading research consultant to the sponsorship and sports marketing industries, and Professor of Marketing at the University of Indianapolis, USA. He has personally conducted over one hundred research studies for sports organizations funded to well over $3 million, and is a sought after expert for the media.